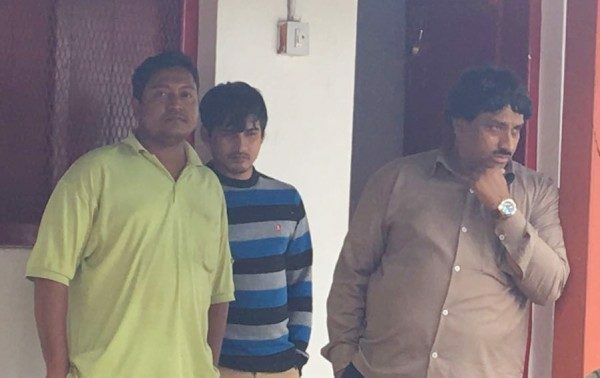 The police arrested two more persons, identified as Mazhar Khan Soudagar (36) and Amjad Khan Soudagar (30), on Wednesday in the case of seizure of a huge quantity of antlers, pangolin scales and tusks of a young elephant (without skulls), remains to be resolved, even as the accused has produced a certificate of ownership pleading ‘not guilty’. The old house in Shetty Galli, was known as a haunted house. The neighbours would tell kids not to go near the house. The house is owned by Saleemkhan Sherkhan Soudagar, 42, a resident of Khanjar Galli and an animal skin export. The four-room house was full of dust and cobwebs. Police found 1,906 deer antlers weighing 960kgs, 2kg of pangolin scales, hair of mongoose, 12 skins of waterdogs and two elephant tusks. Forest department sources said the tusks have to be checked thoroughly as they’re quite small. Soudagar’s have been booked under sections 2(2), (11), (14), (16), (35) and 9, 39, 44, 48, 49 (B), 51, 51 (a) of the Wildlife Protection Act, 1972 for illegally possessing wildlife material. However, the main accused produced documents which proved that all the wildlife material was seized in a raid by the Belagavi range forest officer in 1998 and he had a certificate which showed he could possess them. Moreover, all the deer antlers have been numbered by the forest department. According to sources, there are nearly 1,900 antlers as mentioned in the ownership certificate issued by the Forest Department, Belagavi in 1998 to Sher Khan Mohammed Khan Soudagar, father of the accused Salim Soudagar alias Chamadewala (40), a traditional leather trader in the city. Officials said not all the antlers were the pieces naturally shed by antelopes, hence the suspicion of poaching, besides trespassing the protected wildlife areas.